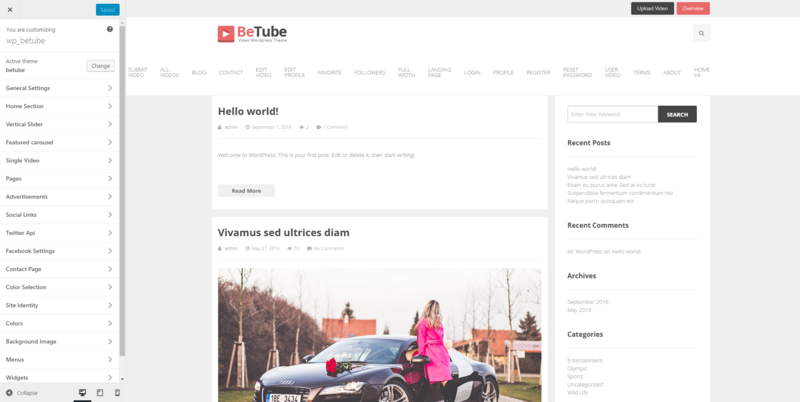 The BeTube theme is a new premium blog template, released in August 2016 by JoinWebs, an Envato Elite author. Described as a responsive and retina ready WordPress template, BeTube is designed to help customers build beautiful websites focused on video content and portfolio. BeTube invites you to create websites powered by dynamic content and slick visuals, all wrapped up in a clean and modern design. This theme comes with a demo ready to be imported and easily transform your website into a video dedicated blog. The template is responsive and retina ready, which means your new project will generate a great experience for visitors on all types of devices. This theme provides an interesting approach to the homepages building process. 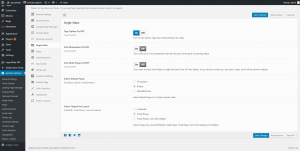 With a whole section dedicated in the BeTube Options panel called ‘Landing Page Manager,’ you can organize the layouts that appear on the homepage. 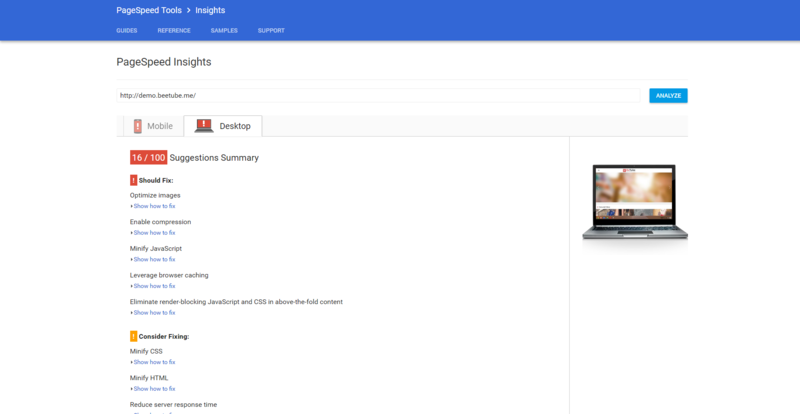 After importing the Dummy content, nine homepage styles become available for you to customize the front page of your website. Also, you can choose one of the over 20-page templates and one of the three post dedicated layouts. Since BeTube is designed to be used as a video blog, it allows you to embed videos from various dedicated networks like DailyMotion, Flickr, VideoPress, Vimeo or Youtube. 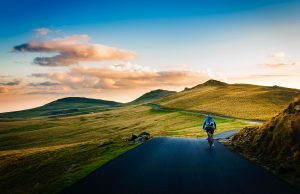 This theme will enhance the visual consistency of your website using beautifully designed video ‘Carousel Slider’ and ‘Vertical Slider’ for content. It comes with a specially designed function which displays format types, likes and the length of a featured video. You can also customize a bunch of your website’s sections with distinct colors like website title, breadcrumb background, text, vertical slider, sidebar, and footer. Another intuitive feature of BeTube is the live typography preview. Developed for the moments when you don’t know what font to use, the authors have included in the theme Typography section on the backend, displaying in real time, samples of letters and numbers using different Google Fonts. This is quite a useful tool when you start experimenting with fonts. The theme comes with a pre-built Contact Page that allows you to add complete information about your business and to enable a map to point out the exact location. This template is social network friendly and allows you to add over 10 different profiles like Facebook, Twitter, Dribbble, Flickr, Pinterest, Linkedin, Youtube and other into your website. It is easy to keep the visitors informed about your fresh videos, as the theme comes with a free version of the Newsletter plugin, with unlimited numbers of subscriber or emails sent. The BeTube theme requires installing the Redux Framework plugin, that brings together all the theme’s functionality. This template comes bundled with Font Awesome 4 Menu, Newsletter, Nextend Facebook Connect, Nextend Google Connect, Nextend Twitter Connect and Video Thumbnails plugins. The theme is compatible with WPML, BuddyPress, and bbPress forum plugins. 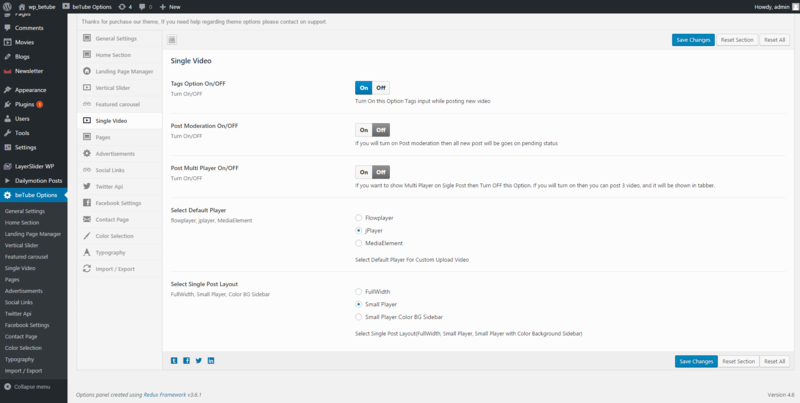 The settings are all gathered in the BeTube Options panel, in fifteen sub-sections, and you can also modify them with the Live Customizer. With BeTube you can upload video content to your website no matter if it’s personal, business or royalty-free. You can find the video related settings in the Single Video section of theme’s options panel. 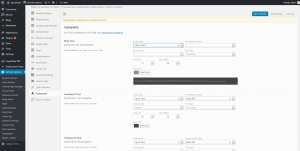 The JoinWebs author introduced four different post format styles: standard, image, video and audio template. 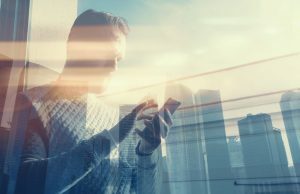 In each of these styles, your post has functions like adding a video link, the video ID code or a file’s URL, designed to make publishing videos as user-friendly as possible. You can also display technical specification for the videos as the duration and quality options to give your visitors a complete experience. The monetizing options provide a plus of functionality. 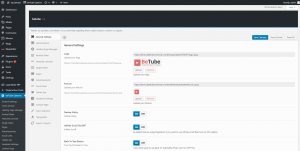 BeTube theme allows you to insert ads into distinct sections with ease. 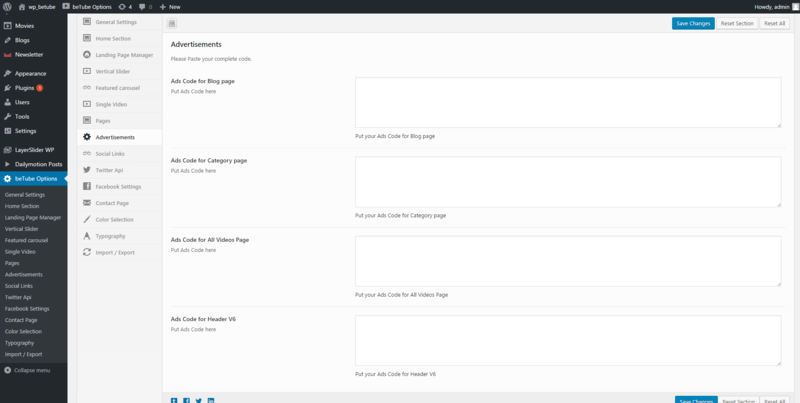 You can add the ad code into Blog, Category, All Videos pages, and also, in the Header area. This template comes with an Ad System, making BeTube AdSense ready so that you can promote image banners and responsive ads with ease. The theme comes packed with an extensive documentation that provides explicit details and screenshots to help you quickly understand BeTube’s functionality. We have tested BeTube’s default demo on different page speed tests, and it loads the content with a very slow speed. The theme has a Typography section that contains a decent number of Google fonts to choose from, but without the possibility to add custom or Typekit fonts. 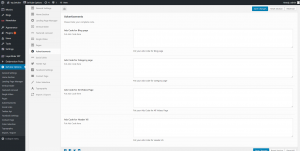 BeTube does not provide a page builder or a shortcode system to create pages, but it offers many pre-made page templates. 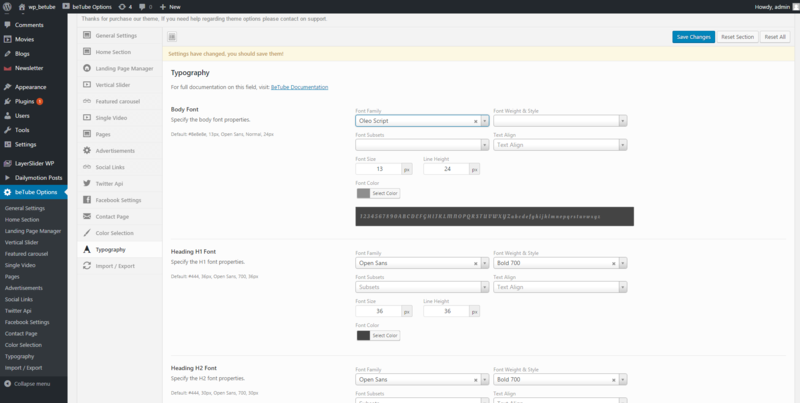 This can be a bit confusing for a user accustomed working with a page builder. The WooCommerce plugin is compatible with BeTube, but there is no custom CSS implemented for it at the moment, and it will not grab the overall style of the theme. 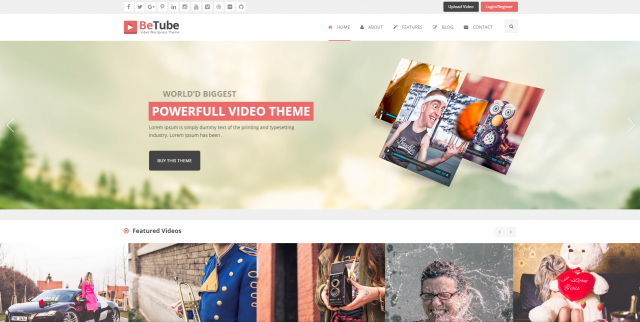 BeTube is a video dedicated theme developed to feature dynamic content and slick visuals, all wrapped up in a clean and modern design. It meets all the necessary requirements to help you create a blog/magazine styled with amazing videos. 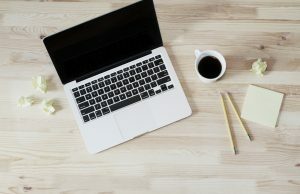 Without having any code skills, a WordPress beginner can built a beautiful website with ease and share video variations.